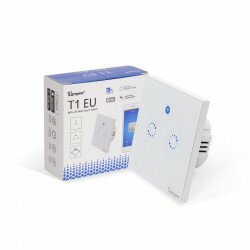 Overview The Sonoff T1 EU Smart Wall Touch Switch series are 1-2 gang touch/App/ RF control luxur.. Description : Home automation is "The Internet of Things". 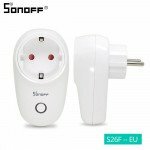 The way that all of our devi..
Sonoff S26 is a WiFi smart plug with EU/US/UK/CN/AU standard. Users can instantly convert any plug into a smart outlet with a convenient timer function that works on user's smartphone. With this smart socket, you can turn on/off any connected device either on the APP eWeLink or by pressing the manual control knob of the WiFi plug. It allows you to set countdown/schedule/loop timers to auto-turn on/off the WiFi controlled outlet on App. You can share the WiFi plug with your family so that you can control together. 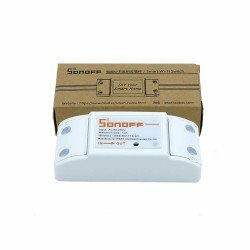 Just plug and take a minute to setup, you'll be able to control your lighting and home appliances from anywhere at any time. . 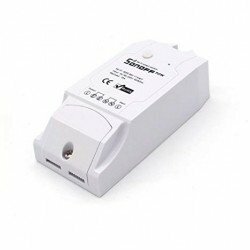 Remote turn on/off connected device. 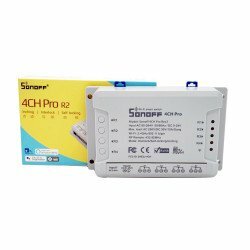 Support checking real-time device status on APP. Setting scene to turn on/off a group of devices in the same account. Your smart plug can be controlled through your existing Wi-Fi network via the Smart App. 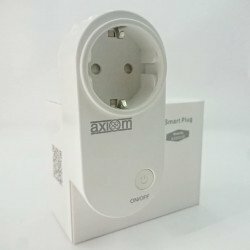 Download th..
【 Build Your Smart Home 】 One single axiom Smart Power Strip turn your 5 home appliances int..
Packaging content 1 Axiom Logic box SRT-104 2 Touch wall light switch TR-XS9 ..